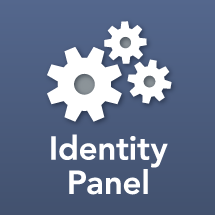 If you are using multiple instances of Identity Panel Windows Service (Panel Service), and dispatch a test message under Panel Service SMTP or Panel Tools SMTP, the test message is dispatched to the next calling Panel Service. A future release will allow you to test against a specific Panel Service host. In operation, messages are transmitted from the Panel Service or Panel Service Pool member specified in the workflow or schedule task.